The goodies for the VivaBella Green Beauty Giveaway Box are coming along really fast and furious. I have boxes and boxes strewn over the floor of my room now because I am receiving packages almost daily now. And I just had one last sponsor confirmed participation this week and the items are flying in from Hong Kong as I write this. 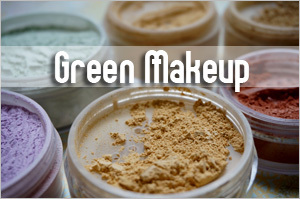 So you’ll be seeing more of Green Beauty posts for sure! Today, the Green Beauty spotlight is on Kelly Edwards Skincare, a line of natural products formulated with organic ingredients that I’ve reviewed in October last year. I’ve liked a few of the products I’ve tried and it’s good to know that Kelly Edwards Skincare range are free from sodium lauryl sulphate (SLS), sodium laureth sulphate (SLES), mineral oils, synthetic perfumes or dyes, parabens or lanolin. And you might want to know that whilst studying for her biology degree in the late 90â€™s, Kelly took Aromatherapy as a course. It is through this introduction to the medicinal application of plants and essential oils that she was able to blend key oils to help her own skin problems: acne, eczema and psoriasis. And hence, she began introducing her own products in 2010. So the products are handcrafted in small batches in West Wales and are formulated to be rich in essential fatty acids, antioxidants, vitamins and phytochemicals. Ingredients used are ethically sourced and organic where possible. And except for the lip balm, all products from Kelly Edwards are vegan friendly. So for the VivaBella Green Beauty Box Giveaway, Kelly has packed five boxes that contain a 50ml Cleanser, a 50ml Exfoliating Cream, a 15ml Balancing Moisturiser, a 15ml Red Clay Mask, a 15ml May Chang Hand Cream, and a 4.5ml Mandarin Lip Balm all worth S$300! I was so impressed with the box that she has put together! So lovely right? So how can you say no to these? The Red Clay Mask by the way, is my favorite of the products I’ve tried from her line! If you want to win these and the other Green Beauty Box goodies, go check out Kelly Edwards Skincare and be a fan of their Facebook page too. Then come back here to let me know which of her products do you particularly want to try and why. 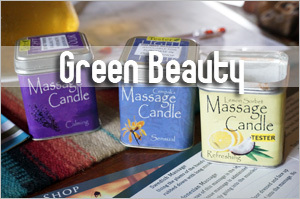 Five boxes of Green Beauty goodies are being prepared with a mixture of organic, natural and green goodies. Out of the five boxes, four of them will go to my Singapore readers while one box will go to an international reader. This will happen in December. Winners will be handpicked based on the quality of their comments and participation level throughout the period. And yes, if you’re a keen and regular participant, your chances are higher of course! To check out the other goodies and to comment on the other posts, go to the Green Beauty section. Don’t wait till it’s too late k? Previous Post: « Share: how exactly are you washing your hair? 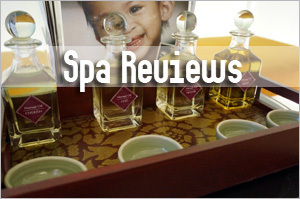 I was happy to see the Rejuvenating Serum contains calendula..I find that very moisturizing! And I also like the Neroli scent, one of my favorites. You do introduce us to interesting products, Sesame! I don’t think I have bought a product from Wales before. Haha…yes, I review the unusual ones. Not so keen on the mainstream brands. And her products are very affordable. I would like to try the May Chang & Ylang Ylang hand cream as Ylang Ylang is one of my favourite essential oil. I like hand cream which are nice and light but very nourishing as I have my hands in water a lot, or it is also good for people who use an unhealthy amount of alcohol loaded hand sanitizer. I had tweeted this giveway & liked their facebook page. Iâ€™ve been suffering from hormonal acne for the last 2 years. The combination of oily skin and hormone imbalance has caused me to suffer from acne break out, so I have been trying to find skincare products that would help relieve my acne problem. 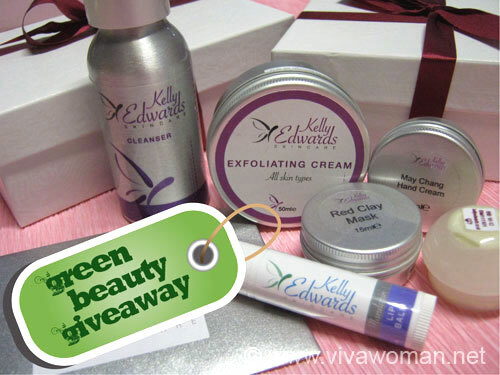 Looking through Kelly Edwards products, I really want to try her Green Clay Mask for oily and problem skin. Other clay masks I have tried in the past dried out my skin. Kelly Edwardsâ€™ Green Clay mask draws out impurities, aids detoxification and soothes the skin. In addition, the ingredients in the clay mask do not strip the natural oil from the skin to prevent making the skin vulnerable to bacteria and fungi that lead to break outs and dry patches. Give them a try soon…they’re pretty affordable too. I would love to try the green clay mask as I have oily skin and a lot of clogged pores. I like them on Facebook as Leong Quinie. I want to try their eye gel most as I’m always searching for an all-rounded eye care in my 30s. The eye gel contains Rosehip oil, Siberian ginseng root extract, Vitamin C derivative, Hyaluronic Acid, Q10, Cucumber Extract, Arctic Blackcurrant and Arnica extracts, it has everything for anti-aging and it seems to be nice to try. Wish I can have the beautiful eye like Kelly (“v). I’m trying it now…maybe I’ll review it in time. Oh Kelly has beautiful skin too! I met her in person. I only use two products on my face: Cetaphil facial cleanser and sunblock. During the weekends, I’ll put on homemade mask and exfoliate. That’s about it. I guess I can get away from it because I’m still young. For the longest time, my friends ask me to put on serum and eye cream. I’ve tried one from Bodyshop, but I don’t quite like it. I’m interested to check out Kelly Edward’s eye gel. It contains ingredients I would put on my face (Rosehip, Siberian ginseng, Vitamin C, Arctic Blackcurrant, Arnica, Hyaluronic Acid, CoEnzyme Q10 and Cucumber Extract). I’m also interested in Florence Selina Rejuvenating Serum. I really wonder if a serum is as good/magical as my friends claim it to be…. 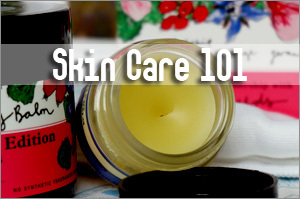 Wow, you have a very simple skincare regime! That’s easy to maintain! I’ve always wanted to try this line ever since you blogged about it, especially the masks because I’m always on the lookout for a gentle yet effective mask for my sensitive oily/combination skin. I notice in your review post you mentioned 4 types of mask, but now only 3 are available on her website — she doesn’t produce the pink clay mask for sensitive skin anymore? I’ve been using a mixture of witch hazel and apple cider vinegar with a few drops of geranium, lavender and bergamot essential oils as a toner and my skin has shown good results since using it. I’m already looking at floral waters to replace the witch hazel and apple cider vinegar as I feel that long term usage of the mixture might cause my skin to dry up because of the alcohol content in the witch hazel and thought that the Balancing Toner would be suitable for me. It’s available in 50ml and 100ml which is at a higher price tag than those commercial floral waters but with the added benefits of neroli, rose and lavender, it’s worth the money. With my combination and problem skin, having a toner that is anti-inflammatory and soothing is important to prevent further infection of current pimples and calming the skin to reduce the amount of stress caused by the pimples. I use oatmeal as my cleanser when I’m having a bout of breakouts as it exfoliates gently and reduce redness cause by the pimples. That’s when I found out using natural and gentle ingredients can also help to heal my pimples. 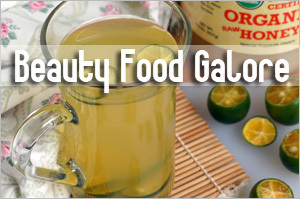 Witch hazel and ACV? Is that too strong? Hmm…I am hesistant about using ACV on my face even if it’s diluted. Don’t mind it on my body…but the smell is arrgh. I started out by using only witch hazel, then adding the ACV to it after I finished the 200ml witch hazel. I think to 100ml of witch hazel, I added 15ml ACV. Initially i couldn’t get used to the smell of ACV but after using it for so long, I don’t smell it anymore. I liked their FB page and RT your tweet for this giveaway. I like their lipgloss and arnica balm and so many other products too . I wasn’t aware of this skin & body care line. It all looks so good! It’s nice that we can order trial size products. I would like to try the trio pack- balancing, along with the balancing serum for my hormonal acne problem. I don’t really have oily or shiny skin, actually it feels a little bit dry in some parts, so I hope that skin care line suit my skin type. I don’t know if the balancing serum can help with the post blemish red marks, but if there’s something for that problem it would be nice to try it too. Also de eye gel looks quite nice for my early 30’s fine lines. Yup, the trial size is nice. I am trying the eye gel now…very light. I think I would try out their Florence Selina Rejuvenating Masks. I’ve been going on a mask kick recently and I love the ingredients in this. That one is pretty rich…tried it before. Good for dry skin. 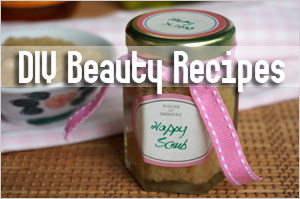 would love to try the exfoliating cream… the combination of ingredients sounds really divine! I’ve tried many different exfoliants and have yet to find something I really like… I’m hoping this will be the one! Don’t think I’ve tried it too so can’t comment much. It’s pretty nourishing so yeah, if you have dry skin, it should work for you. I am still looking for a suitable eye gel, so i would like to try their eye gel . Their eye gel contains Rosehip oil, Siberian ginseng root extract, Vitamin C derivative, Hyaluronic Acid, Q10, Cucumber Extract, Arctic Blackcurrant and Arnica extracts. I like most of the ingredients in it! It’s quite nice…very nice weight and I get this slight tingling sensation. The ingredients are great but it’ll take awhile to know the results. I would like to try the Florence Selina Rejuvenating Serum, as it is for dry skin. I read that the smell is really nice too! I would love to try Mandarin and Bergamot Hand Cream. Usually we’ll be able to tell a woman’s age from her hands and the most neglected. We really need to take care and protect our handworking hands. The handcream contains Cocoa Butter, Thistle, Calendula, Rice Bran and Jojoba help to hydrate and soothe the hands. Also contains all the goodness of essential oils to provide aroma. Smelling good with all goodness. The Florence Selina Rejuvenating Serum is one I’d like to try currently. My skin, once normal-oily combination, is more of normal-dry now, thanks to the strong airconditioning at my office, along with frequent removal and application of makeup during my lunchtime gym sessions. As a result, my skin is kind of dehydrated and I’ve switched my skincare accordingly too, which helps. Since I no longer shun oils for my face, the Florence Selina Rejuvenating serum has a blend with several oils/ingredients that I’ve not really seen around locally, such as horsetail (which is good for eczema), arctic blackcurrant (do they really grow in the Arctic? ), echinacea (I’ve used them as oral supplements, but not in skincare. Good booster for the immunity system) and I love the scent of neroli. Plus, it all comes in my favourite packaging for skincare oils – glass bottle with dropper for easy storage and exact dispensation for usage! I recently just started venturing into all organic skincare so I was super excited to find your website. I have tried Jurlique (which I didn’t like due to the strong scent & price). I recently found a Tawainese brande called Naruko which doesn’t claim that they are completely organic but their ingredient list seems fairly decent. I have been using it for 2 months now and it has been amazing!! Even though it has been doing well for my skin, I am still slightly skeptical about what goes into it. Any thoughts? I’ve seen Naruko’s products around but though they’re fairly natural with lesser chemicals, the products contain some ingredients that I don’t really fancy and hence I stayed away. Can’t remember what they are – could be alcohol or silicones. I remember you posting on this before. 🙂 I like how she packages her products. Very handmade and homey. The eye gel looks pretty awesome! the texture and the ingredients like aloe vera and cucumber to hydrate.. I’m yet to settle on a good eye cream. I have milia seeds dotted along my dark eye circles. So difficult to get rid of sadly. The cleanser too looks very promising with essential oils like ylang ylang, mandarin and lavender and castor bean which gives great bubbles and foaming. I liked her FB page! I’m interested in the Kelly Edwards Balancing Toner. I always tend to skip the toning stage in my skincare routine as I feel that it feels pretty useless, or the toners I’ve been using doesn’t seem to have any effect. However the Balancing Toner made me sit up and take the notice, I love the idea of the spray, and with the bottle, I don’t need to worry about it breaking when I bring it around for travels. I want to try it due to it’s regenerative and hydrating ability, as sometimes my skin would flare up for no reason and seeing that it has witch hazel and aloe vera would definitely help to calm my skin down. Had liked their FB page as well. If Kelly’s the lady on Kelly Edward’s Facebook Photo–she’s got nice skin! She looks healthy and rosy. Since I’m always on a quest to find the perfect eye product, I think the item I’m most keen to try will be the Eye Gel/Serum. 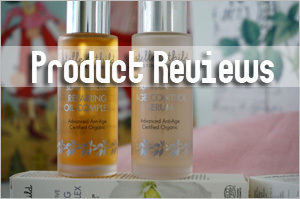 I had tried a LOT of eye serums, gels, creams from both the organic/natural and not-so categories and most of the time, regardless of the price, I was left disappointed. One thing for sure, I realized that products with Vit C (whether it’s L-Ascorbic Acid or a Vit C esther) seem to show the most effect on my skin. KE’s Eye Gel/Serum has a Vit C derivative in the first half of its ingredients list and it’s making me hopeful. It’s reasonably priced, too! …since as mentioned in one of your previous posts, I can sometimes (unfortunately) be addicted to exfoliating my skin. I have dull, slightly yellowish complexion and to make it worse, I’m neither fair nor tanned. I’m in between. So I love exfoliating products that can give my skin a bit more glow, hopefully less sallow-looking. Thank you vivawoman for introducing yet another skincare brand/product. 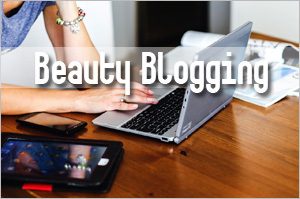 I love to read your beauty blog bi-weekly on natural and effective skincare products. This is my first time hearing about this brand and would love to find out more….and eventually to add some of these products (floral toner; eye-gel) to my current range. I like to try the eye gel as I am sure it will help to hydrate and firm up my aging eyes. Hopefully with it, my eyes will be beautifully youthful looking again. I think I would like the try their cleanser which claims to be able to dissolve make up. I don’t apply make up often, as I really dislike the time needed to remove it. If this cleanser works, then removing make up will become a breeze for me! I’ve also liked her facebook too. I want to try the eye gel, as my dark circles and my biggest insecurity. The ingredients also sounds ver promising. the box is looking good!!! I’m actually on the lookout for a toner now, and Kelly Edwards’ Balancing Toner (for combination and problem skin) looks like something I don’t mind trying out. 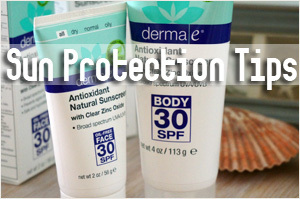 My skin isn’t exactly problematic but it’s far from perfect and it falls under the “combination” category. 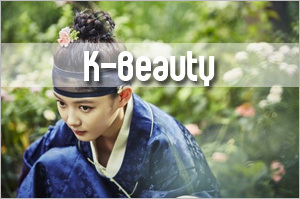 Besides that, their Cleanser and Eye Gel look great too! Love how this brand is so clear that they stay away from the “nasties”. That’s what we should be doing too. I will agree with BT – the Eye Gel seems a quite well-rounded product. I think I will keep it in my “to check out” list for the near future, as I still haven’t found what I’m looking for! The eye gel seems appealing. It’s really the formulation that interests me, especially CoEnzyme Q10. Most products like these tend to be very pricey. so far I only came across 2 brands that is vegan friendly: Kelly Edwards and MVO. What I like about Kelly Edwards is their eye gel and they caters small amount samples(3ml eye gel and 5 ml Nourishing Mask ). We can try their mini products or give our friends as gifts(not trying to be stingy but to let our surrounding friends to try organic products, as some might not like it). 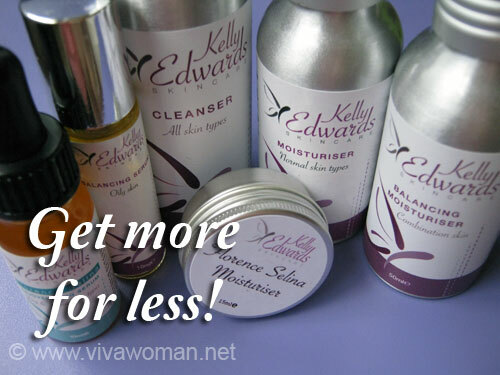 I want to try Kelly Edwards Balancing Moisturiser because it has Calendula to calm my skin and Acai Berries to combat the free radicals. I have not come across a product with the marvellous Acai Berries, so the balancing moisturiser is a big temptation for me! Wow, I’m so impressed that Kelly Edwards put together a complete set for the lucky winners to try its products including the cleanser, moisturiser and mask. 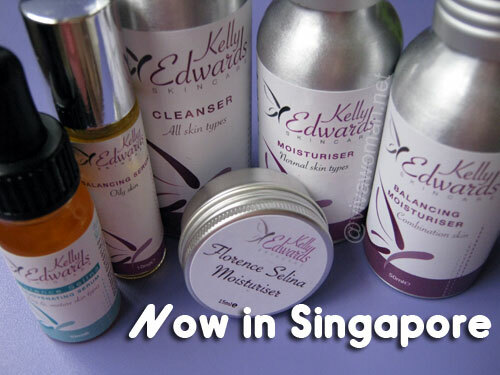 The background behind Kelly Edwards (including her previous skin afflictions and her desire to create natural skincare products using the finest botanical ingredients) is very compelling for me to try her products. The one product that I’d love to try is the eye gel as not only does it contain CoEnzyme Q10, there is also Siberian ginseng, Vitamin C and Cucumber Extract that will not soothe the eye but also help to firm it up and reduce the many fine lines I have from nasal congestion! I want want want to try MAY CHANG & YLANG YLANG HAND CREAM! The ingredients are irresistible: Cocoa Butter, Thistle, Calendula, Rice Bran, jojoba, Vitamin A, E and Arctic Blackcurrant with aromatic essential oils. It would be great to make hands soft, especially after hand washing some delicate clothes in my waderobe! Looking forward to the fragrance lingering around after using the hand cream! What’s up, I read your new stuff regularly. Your story-telling style is witty, keep doing what you’re doing!